The Acropolis Museum of Athens: The Acropolis Museum can be found in the picturesque area of Makriyianni Athens, on Dionysiou Areopagitou Street. It is located in the southeast corner of Acropolis rock. It was built to house the vast exhibits that were found during the excavations in the Acropolis and who were too many to fit in the former small Acropolis Museum. This new Acropolis Museum basically houses excavated materials from the Acropolis of Athens and from some other excavated sites around Attica, such as the temple of Artemis in Vravronsoutheastast of Athens. The museum was designed by the New-Yorker architect Bernard Tschumi, in cooperation with the Greek architect Michael Photiades. The archeological site over which the museum lies today is the Wilhelm von Weiler Building constructed in 1836 by a German architect. The total area of this building is 14,000 sqm and there are more than 4,000 historical objects on display. An interesting feature of this museum is the extensive use of glass that is used inside and outside of this building. All the artifacts recovered from the excavation site date back to the Greek Bronze Age, the Roman and the Byzantine era. It is a four storied museum, where three levels have been used to showcase the historical artifacts and the remaining top floor houses the gift shop, cafeteria, restaurant, and offices. The entire tour of the museum is structured in such a manner that visitors will be going to each of the floors according to the chronological order of the time period. At first, visitors come across the exhibits found on the Acropolis Slopes. The hall housing these exhibits is long and rectangular in shape and imitates the ascending path on a rock. Here, there are various objects and remains of buildings from the settlements dating back to the Neolithic period, from 3000 B.C to the 6th century A.D, and ancient sanctuaries dedicated to gods Dionysus and Asclepius. The next stage in the tour involves findings from the archaic period, marble statues used as decorative pieces and various gifts dedicated to goddess Athena, the protector of ancient Athens. The hall in which these objects are kept is a large trapezoidal hall. In the third phase of the tour, visitors will see the Parthenon gallery, where sections of marble structures from the Temple of Parthenon have been kept for display. This gallery is totally made out of glass enabling natural light to fall on the displayed items. There are also sculptures from the Propylaia, the temple of Athena Nike and the Erectheion. There are also some interesting exhibits as well, like the colossal head of Goddess Artemis Vravronia, sculptures from the classical period and different types of gifts contributed to the Acropolis during the Roman period. These gifts included even portraits of emperors, philosophers, gods, warriors, and athletes. On the top floor, there is the most impressive part of the museum: the frieze of the Parthenon, as it was in its original form. Of course, there aren't all the pieces of the frieze, as almost half of them are kept in the British Museum in London. However, the archaeologists and special artists have managed to copy the Elgin Marbles, unite them with the parts of the frieze that Greece possesses and make a view of the frieze as it used to be in the ancient times. In fact, this is one of the main reasons why this museum was created: to put pressure on the British Museum and give the Elgin Marbles back to Greece, to host them in a proper house at their homeland. The entire cost of construction of the Acropolis Museum was covered by the Greek Ministry of Culture and the European Union (European Regional Development Fund). Although it took many years to finish this project (discussions about it started in 1975), the museum was finally inaugurated in June 2009. The Acropolis Museum is open every day from 8 am to 8 pm, except Monday and Greek public holidays. 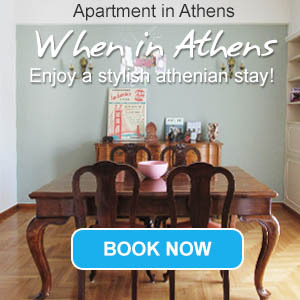 It is close to Acropolis Metro Station and easy to reach by the disabled. Photographs are not permitted and measures have been taken to protect the exhibits of the museum. The cafeteria has a view of the holy rock of the Acropolis. Very intresting museum! It first impresses with the design, especially in the yard, where you walk on glass above archaeological excavations. This was a very clever idea and totally matching with the spot. The most interesting exhibits inside are the Karyatides, huge in size and very detailed as statues. The third floor with the frieze, I didn't find as impressive as I expected.